Item Number: 710-3-08 16625 Actual Weight: 15 lbs. 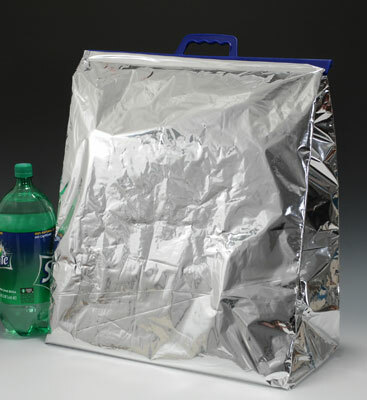 Keep food hot or cold for up to 3 hours. 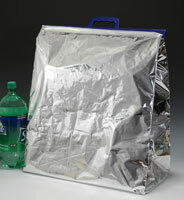 Reusable, washable, and recyclable bags insulate contents from outside temperatures. Inner lining is FDA approved for food contact. Gusseted bags open wide for extra storage and can handle heavy loads. Removable bottom is made from corrugated polyethylene for easy cleaning. Easy carry handles ensure tight closure even when bag is full. Made in the U.S.A.